I lost my soul dog in 2012. I was 30 years old, and I had been blessed to share half my life with an amazing soul, Watson. You know how some dogs have a sort of intense depth to them? He had that. For a long time I struggled severely with his loss. The thing that finally got me on the right track was getting a canvas print made and hanging it on my bedroom wall. Now I look at his smiling face every time I walk into my home, and it brings me right back to that beautiful, sunny day at the dog park where he was having the time of his life! (He loved any opportunity to pee on interesting new things and places 🙂 ) To this day it still brings me pure joy. That joy is what brought me full circle back to pet photography. I truly love the look on people’s faces when they view their pet’s photos for the first time. The smiles are contagious! I try to capture every facet of our pets whether it is goofy, noble, or filled with energy. One thing I have noticed over the years, however, is that people have a lot of reservations when it comes to having their pets photographed. They think it won’t work because their dog is hyper, or nervous, or any multitude of reasons. I am here today to dispel some of the myths about pet photography and pull back the curtain a bit. Let’s answer some of the most asked questions I have received about pet photography. Q: My dog will never sit still long enough for photos. I photograph real dogs. I typically do not photograph obedience stars or even fairly well-trained dogs! I have all sorts of tricks and tools “in the bag” to get amazing photos of your dog no matter how wild and crazy they seem to be. However energetic your pup is, we can usually get them to sit still for the 1/800th of a second it takes to snap an image. Q: My dog is super shy. Can you still get good photos of them? I specialize in nervous or shy dogs that are otherwise friendly. I have the appropriate tools to use that will allow me to get photos from farther away so they are more comfortable, and I can utilize some desensitization techniques to get them more comfortable with the camera and equipment. We will work together to make sure your dog is at ease and not stressed out. Q: What if my dog cannot be let off the leash? Q: I have a black dog, can you still get good photos of them? Yes! Photographing a black dog is all about understanding how light works with their fur. I use special lights to bring out all the detail in black fur so it doesn’t end up looking like a dark blob. Everyone who has a dark dog knows how hard it is to get a good photo of them, but people are amazed when they see photos of their black pup with tons of detail and shine in their fur. Q: Do you photograph any other animals besides dogs? Yes! I have photographed many different species and breeds of animals, from dogs and cats, to ferrets, rabbits, cockatoos, horses, and even a 40+ lb land tortoise! I am comfortable and familiar with many different species of pet, and I can tailor the session to suit their particular set of needs. Q: How do I get a session for my pet? I’m so glad you asked! I am teaming up with The Murphy Foundation to do a pet photography mini session event at the end of this month! We will spend about 15 minutes photographing your superstar, and then immediately after your pet’s shoot you can see their images and pick out your favorites. The mini session is only $25.00 and includes a complimentary 5×7 digital photo with the opportunity to purchase additional prints and products. We will be donating 100% of the $25.00 session fee as well as 10% of additional print sales directly back to The Murphy Foundation to help animals in need. It’s win/win! Oh, and did I mention that we have an anonymous donor that will make a MATCHING donation of what we raise during this event!? How cool is that? If you would like to register your pet for our Murphy Mini’s event, please visit www.noblesoulphotography.com/murphy and we will make sure they get their time in the spotlight! Top 3 Tick-Removing Myths – Busted! Even if you don’t, and for those of us who do, ticks should be avoided on us and our pets at all costs! Not only is the mere thought of a blood-sucking parasite enough to give anyone a case of the “willies”, but ticks carry diseases, some of which can even be deadly. What happens when you come home from a day of outdoor fun with your dog and see that one or more of the dirty scoundrels has attached itself to your poor pup? Scouring the internet and asking friends can produce some interesting methods for removing ticks “the right way”. We are here to set the story straight, but first let’s go over some sure fire tick removing advice.. that maybe you should avoid. Myth #1: Burn it off. Kill it with fire! We have heard this old tale a million times! More than one source may tell you that if you apply something very hot to the body of the tick, such as a lit match or one that’s just been blown out, the tick will back out of the skin to flee, and you can easily remove it at that point. The downside of this method is the safety factor. Tick bodies can be extremely tiny, and you risk burning your dog which will make him less inclined to sit still the next time when you approach him with a book of matches or a lighter – as well he shouldn’t! Myth #2: Just wiggle it out! Wiggling when removing a tick that’s embedded can lead to pieces of it’s mouth parts breaking off and staying stuck in the skin. The best method is an upward, straight pull with steady pressure. Myth #3: Drown it in Vaseline! This is another one we hear all the time! While technically it is true that you can suffocate a tick by surrounding them in a viscous fluid, ticks breathe super slow, and might only take three breaths in an hour! By the time they suffocate, they have been embedded long enough to transmit diseases and cause serious harm. The final verdict is that if you see a tick on your pet, the best method for removal is to grab a pair a tweezers, grasp the stinker as close to the skin as you can with firm pressure, and pull it out slowly upwards with steady, even pressure. 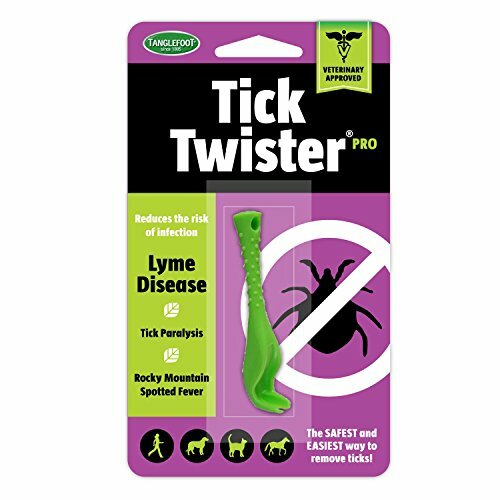 You can also use a tool such as a Tick Twister. How do I choose a trustworthy groomer? “Fluffy” desperately needs a haircut, but she’s a part of the family and you’re not going to trust her to just anyone. How do you know if they will do a good job? How will they treat your dog while he or she is in their care? No one wants their pet to have a bad hair day for the next four to six weeks until it grows out again, and with stories in the news about dogs suffering from heat stroke and even dying at the groomers, it can be enough to make you want to take up grooming yourself just to avoid taking your precious pup anywhere at all! Don’t let bad hair cuts happen to your pooch! There are ways to tell if a groomer is the real deal, so to speak. In today’s blog post, we will share our best tips for determining who is a trustworthy groomer. Tip #1: Ask your friends for referrals! Word of mouth is usually a pretty reliable source for recommendations. If your friends or family have had a great experience with a particular groomer, you can be willing to bet that they are worth talking about. Knowing that someone you are acquainted with trusts them will go a long way towards helping you trust them too! Tip #2: Look for transparency. A groomer that has nothing to hide will be completely open to you. Ask to see the grooming salon if it isn’t readily visible. Most groomers will gladly give you a quick tour of their facilities to show you the area your dog will be while they are there. Take your time and get a good look at the area. It doesn’t have to be perfectly tidy, as grooming is not the most cleanly undertaking. There might be some dog hair on the floor, but that is one thing that is OK to overlook. Look to see if their kennels are spacious enough for your pet, and if they appear to keep their instruments well cared for. Also look to see if they have cleaning tools such as disinfecting spray handy. Take a deep breath and take in any odors. The grooming salon shouldn’t have too bad of a smell, but can obviously have a wet dog smell from time to time. What is the general feeling you get while you are there? Tip #3: Watch the dogs coming and going. Are the dogs walking out from their grooming with bright faces and wagging tails? Or do they look distraught, tired, fearful, or uneasy? Grooming can be stressful for any dog no matter how plucky, however, it should not leave them fearful or uneasy. Dogs should be happy and excited to see their owners. Keep an eye on dogs going into the groomer as well, do they walk in willingly or do they get to the door and slam on the “brakes?” This can give you an indication on whether or not they have a good experience while they are there. Tip #4: Ask for references. A good pet stylist will have happy customers and raving fans. Ask your potential groomer if they have any references you could speak to briefly. They should be able to supply at least one to two people for you to speak to. If they have no one that will give them a positive reference, beware. Tip #5: Go with your gut. What is your intuition telling you? Do you get a good feeling when you speak to the groomer, or look at their facilities? Don’t underestimate your initial gut reaction, it is usually right! If you are in the market for a new groomer, Aquadale now has grooming appointments available in our newly renovated grooming salon. Our groomers, Amanda and Jessica will help your dog look their best with gentle handling in a low-stress environment. With our new loyalty program you will receive your 6th groom FREE, and every 6th groom after will be 50% off. No membership cards to keep track of and take up space in your wallet, or if you are like us – to lose. We automatically track all your visits, and you simply get a half off grooming appointment after your dog comes in five times. Schedule a grooming appointment with us online. Top 3 Flea & Tick Myths – Exposed! Fleas and Ticks. Four-letter words for pet owners. No one wants to think about their fur babies being attacked by parasites, let alone blood-sucking parasites! You may not know the whole truth when it comes to these parasites, so we took it upon ourselves to compile the most common myths about fleas and ticks. Myth # 1: Fleas and Ticks do not affect healthy pets. Truth: External parasites are not picky when it comes to a blood meal. They can attack any pet, healthy or not! Myth #2: Fleas and Ticks are not a threat during the winter. Truth: While it is true that fleas and ticks that are outdoors will die off once we get a good frost, if there are any that have managed to make it into your warm home, they can survive the entire winter! The veterinarians at Aquadale recommend keeping your pet on a flea preventative throughout the summer months, and only discontinuing prevention in the winter if you have not had any issues with fleas or ticks. Myth #3: Indoor pets do not need protection. Truth: While it is true that pets who spend a lot of time outdoors are at a higher risk of picking up parasites, indoor pets are not immune! Fleas and ticks can hitch a ride inside on our clothing, and fleas can even jump through open windows! All pets should be on a monthly parasite preventative throughout the summer to keep them happy and bug-free. We are approaching the spring season, which is historically when we recommend starting flea and tick prevention. We recommend starting prevention in the spring due to it being a favorite time for ticks to come out and begin feeding. Climate can vary, and parasites have been showing up earlier and earlier when we have mild winters. Aquadale recommends a prescription flea and tick prevention such as Nexgard to keep your pet completely free of parasites. To help our friends get their pets protected, we are having a blowout sale on Nexgard through the end of March, 2017. Nexgard is an easy once a month chew that dogs love, and will keep all those blood-suckers away from your furbaby. We are taking $5 off each dose of Nexgard Chews, and we also will give you two (2) doses FREE when you buy 10! Stop in today to stock up! Having a new puppy is like having a blank slate that you can mold into exactly what you want. Teaching a puppy how to walk nicely on the leash is a great trick to work on early in your dog’s life. Read more to find out how to get your pup started now! So your puppy can sit, down and come when called. What next? It might be a good idea to teach your dog how to properly walk on a leash next. Conditioning them from the start and performing a little bit of basic leash training will give you years of hassle-free walks and control of your dog. Let’s learn a bit about leash training and why retractable leashes aren’t such a great tool to use.